is now available for registration. 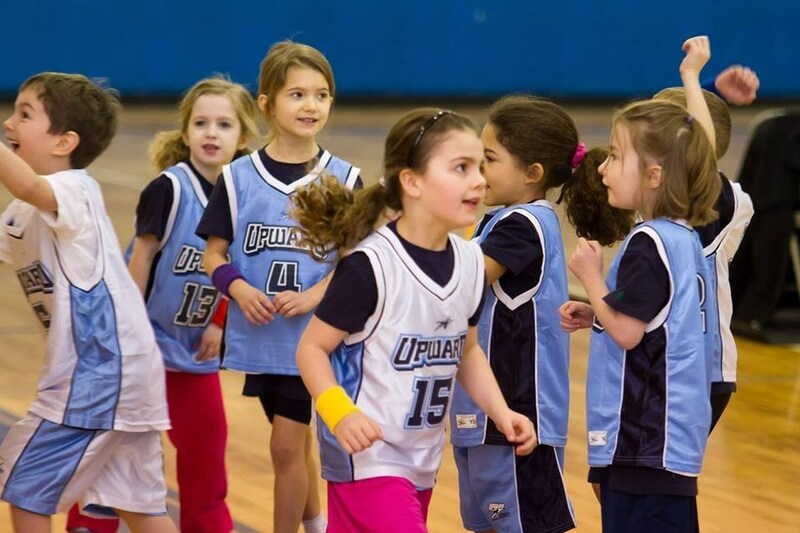 The Our Shepherd Upward Basketball program is a Christian based youth sports program, for kids in kindergarten through fourth grade. We strive to develop the athletes mentally, athletically and spiritually in a safe, competitive and fun environment. We welcome all kids and you don't have to be a member of the church or school to play. We are always looking for new parent volunteers for coaching/ scorekeeping, refereeing so if you are interested please let us know. 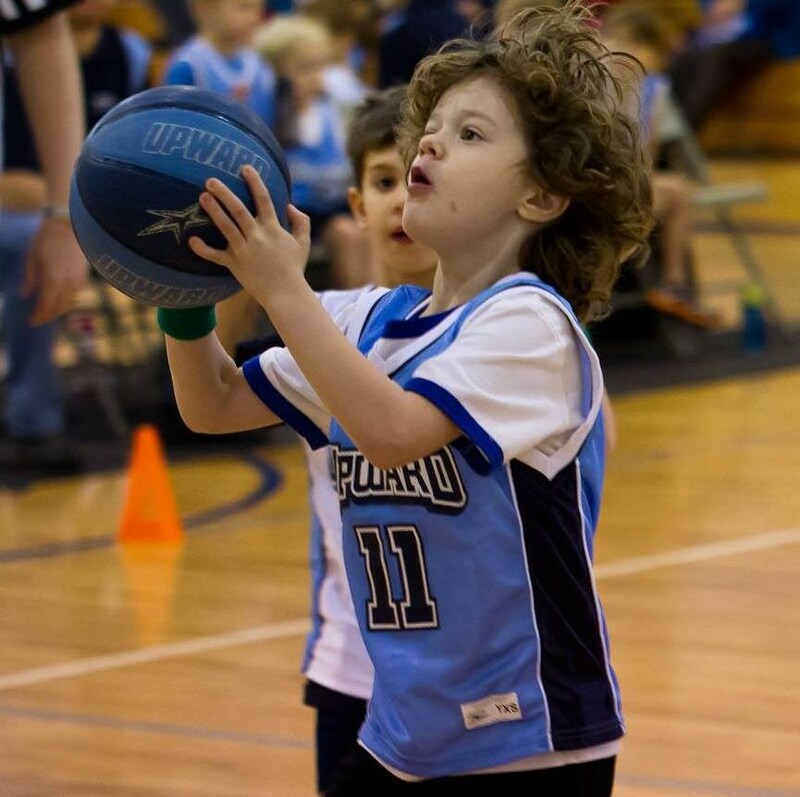 The early registration cost per child for basketball is $90; after Dec 12, the cost is $110. 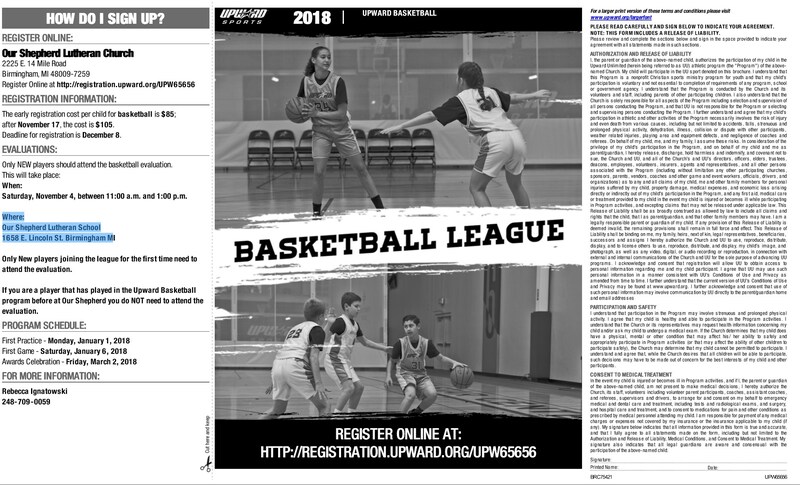 Deadline for registration is December 31. Kids practice once a week typically between 6pm and 8pm at Our Shepherd Lutheran school. Typically the younger kids practice earlier and the older kids practice later. The kindergarten teams don't practice during the week but on Saturday game day typically 30 minutes before the actual game. All games and practices are held at Our Shepherd Lutheran School. Based on demand we may have to expand to other gyms in the area. Our Shepherd Lutheran School 1658 E. Lincoln St., Birmingham. Do you need to attend the evaluation day? EVALUATIONS: Only NEW 1st - 4th grade players joining the league for the first time need to attend the basketball evaluation. Kindergarten players do not need to attend evaluation. When: Saturday, December 8th, between 12:00 p.m. and 2:00 p.m.
Only New players joining the league for the first time need to attend the evaluation. If you are a player that has played in the Upward Basketball program before at Our Shepherd you do NOT need to attend the evaluation. 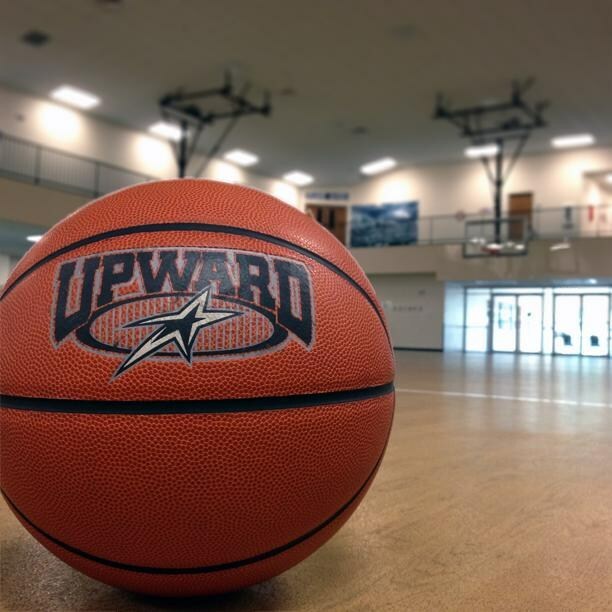 NEW for the 2019 season - our Upward program will not offer 5th & 6th Grade Boys or Girls basketball teams.